Enjoy a special Saturday night ballroom dance party every ‘4th’ Saturday of the month, hosted by Dynamic Ballroom. Open to the public. March’s Saturday Night Ballroom Dance in Celebration of our 5th Anniversary!! Saturday, March 23rd. 8:00pm – 11:00pm. 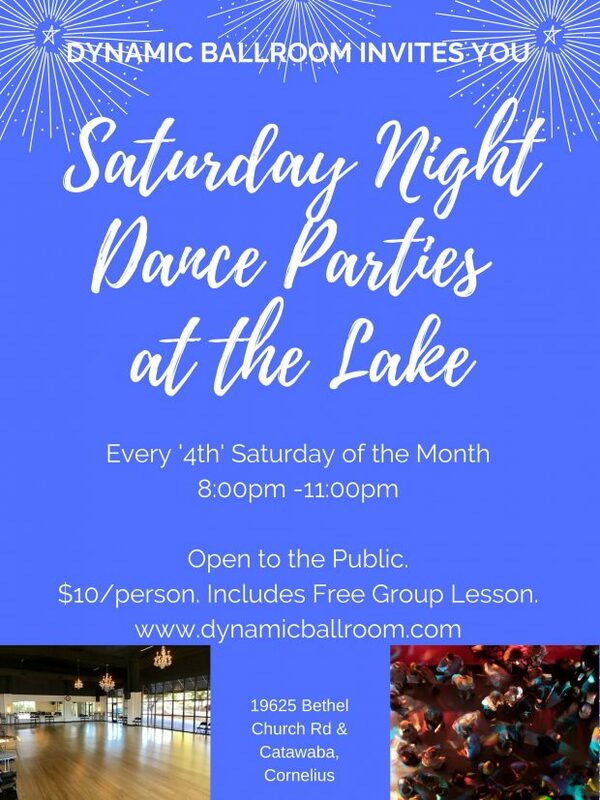 Join us for a Saturday Night Ballroom Dance at the Lake every 4th Saturday of the month at Dynamic Ballroom. Open to the public. Dance includes a free lesson at 8:00pm, and social party the rest of the night. DJ plays a variety of music from salsa, swing, waltz, tango, line dance, shag, west coast, hustle and more! No experience necessary and no partner needed.